NuNaturals is a Sugar alternative from the Stevia Plant and unlike other Sugar alternative it is a 1-1 ratio for baking and has a non chemical taste and the same texture as sugar. You can check out a fun recipe HERE. Anyone who is trying to reduce their sugar intake really needs to check them out and from now until JUNE 2014 you can get a 15% discount and free shipping to continental US for all orders over $35 just use code BLG0614. Just go to NuNaturals.com! 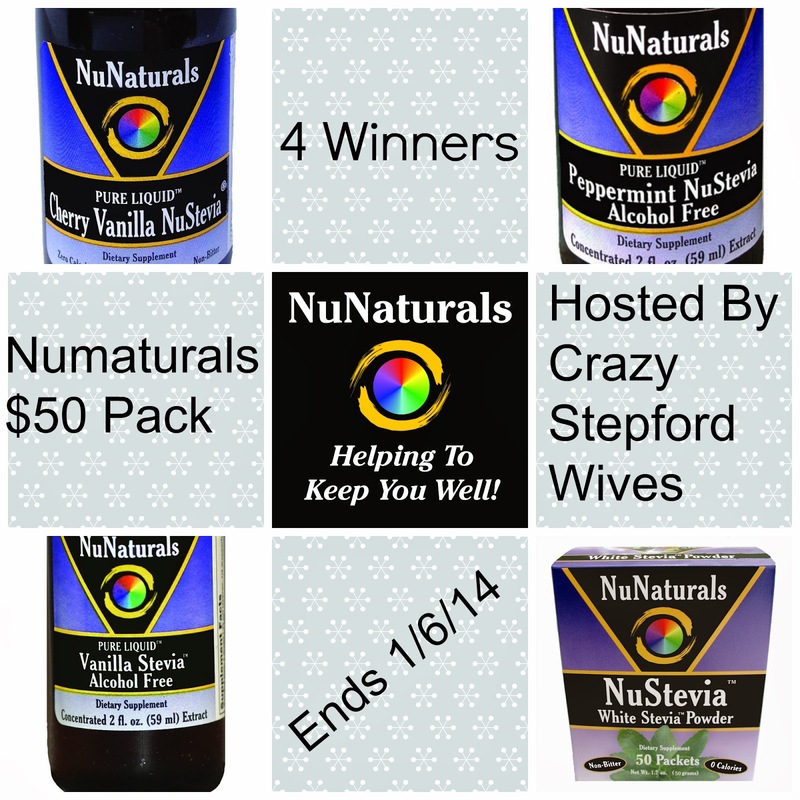 Now for a giveaway, the "Sugar Free Poppa" is giving 4 lucky readers a $50 prize pack consisting of A box of NuStevia packets and Karen from CrazyStepford Wives Favorite products, the Stevia Drops in Peppermint, Vanilla and Cherry Vanilla. The perfect way to increase flavor and satisfy your Sweet tooth. Good Luck! This Giveaway is hosted by Crazy Stepford Wives and this blog is not responsible for prize fulfillment.